Hello everyone, sorry I’ve been a little M.I.A! The good news is, I obviously have a backlog of makeup looks and product reviews to share with you guys. Today, I’ll be discussing two incredible new products – the NYX Vivid Brights Petal Pink Liner and Mac Rose Pigment. 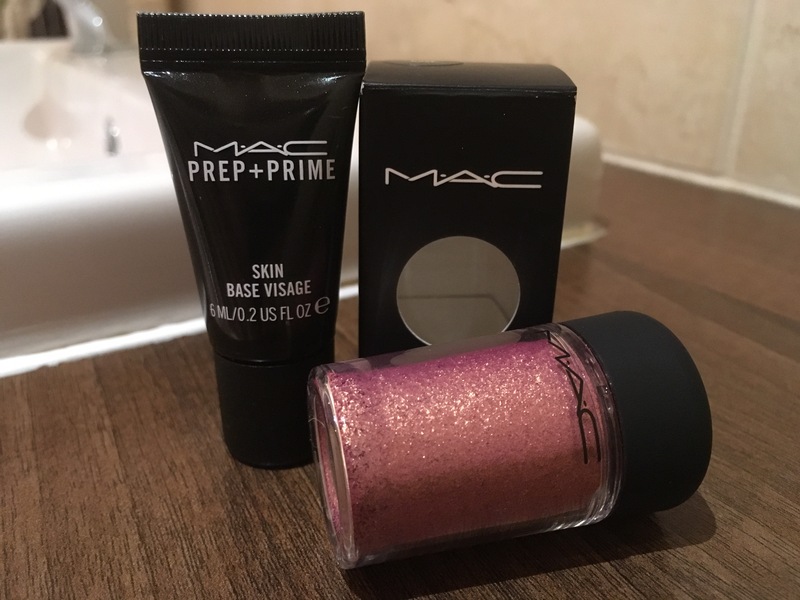 If, like me, when you first set your eyes upon the Mac Rose pigment (pictured above) you began to swoon – it means you’re human. I cannot stop staring at the sparkly finish, but surprisingly soft texture of this product. Just as impressive when applied to the eyes with a little fixing spray, as it looks within it’s gleaming pot – this pigment is VERY highly sought after. In fact, I had to put my name on a waitlist for a week or so before I was lucky enough to purchase this specific shade online, so keep your browser at the ready and keep refreshing! Whether you’re looking for a gentle glimmer or a high-impact finish, the loose pigment provides smooth layering. For this particular look, I created a medium application, with just two thin layers applied. Of course, this look would have created half the impact, had I not teamed the pigment with my new NYX Vivid Brights Petal liner. I instantly fell in love with the baby pink shade and nature of the brush, and had heard numerous positive reviews online, meaning that I had to put this eyeliner to the test for myself. The results? A great finish, although multiple applications are required if like me, you have ‘creasable’ eyelids. What does this means? That your lids are prone to creasing in all of the wrong places, making the liner crack and therefore, when numerous layers are applied, this liner can create a ‘clumpy’ finish. A certain amount of precision is definitely required to create a seamless end result! Like this look? Impressed by my product reviews? Follow my blog today for more posts like this. I was going to get this liner at ulta but it was out of stock, but now as soon as it’s back in I’m convinced I must get it! I adore this look on you! Pink and sparkles. 2 of my favorite things! Mine too despite also loving black, black and… black haha. That eyeliner looks gorgeous on you!